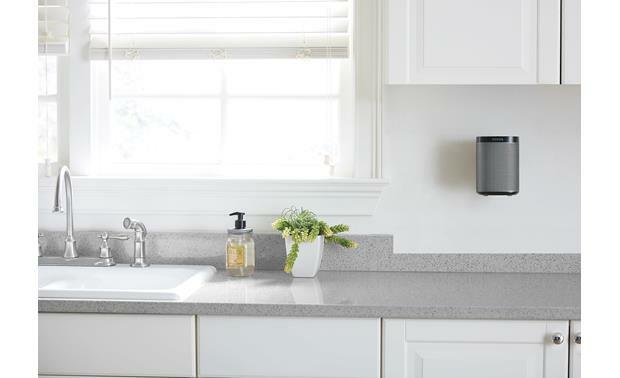 Compatibility: The Sanus WSWM1 wall-mount bracket is designed to support the Sonos PLAY:1, PLAY:3 and other compact wireless powered speakers up to 10 lbs. 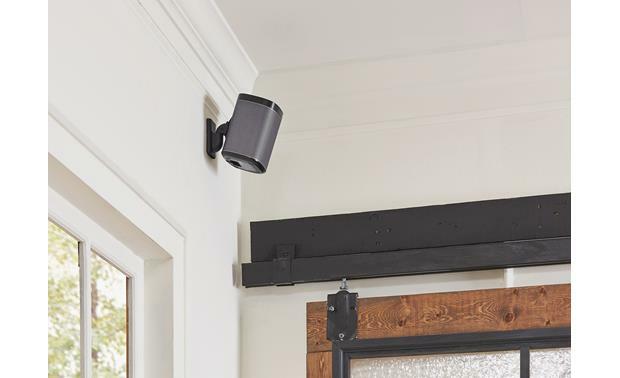 The included 1/4"-20 x 0.5" screw secures the PLAY:1 speaker and other compact wireless speakers to the WSWM1 wall-mount bracket. 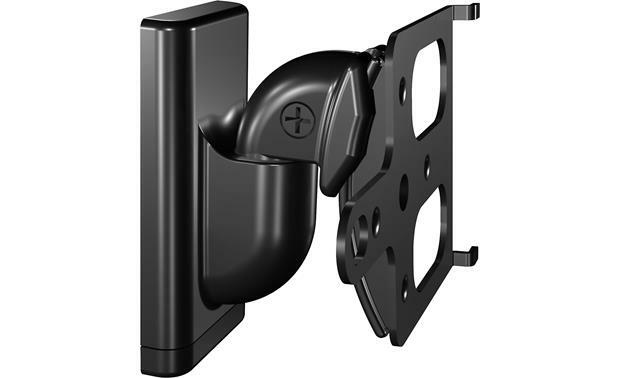 Tilts & Swivels: The Sanus WSWM1 is a tilt & swivel speaker wall-mount bracket. The WSWM1 provides up to 30° of down tilt, 9° of up tilt, and 132° of swivel to get the perfect speaker position. 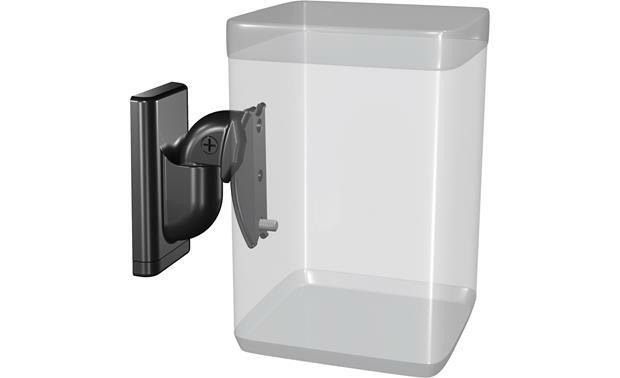 Low-Profile: The Sanus WSWM1 ultra low-profile design keeps your speaker close to the wall. 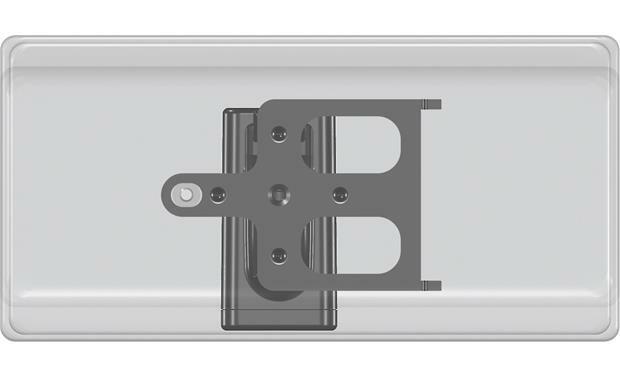 Wall-Plate & Included Hardware: Mounting hardware is included to attach the WSWM1's wall-plate to a wood stud, concrete, or drywall. 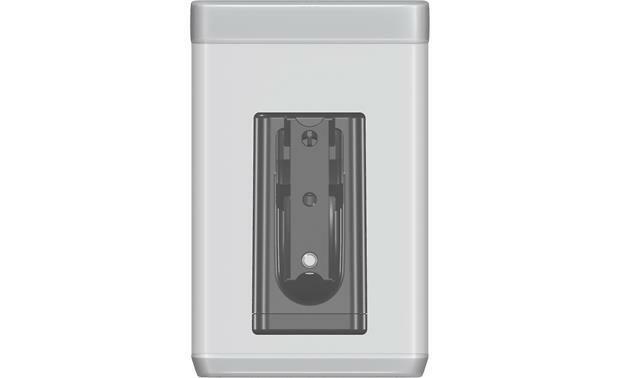 In addition to the wall-plate, there are two #10 x 1.75" wall-plate screws and two anchors (if required). 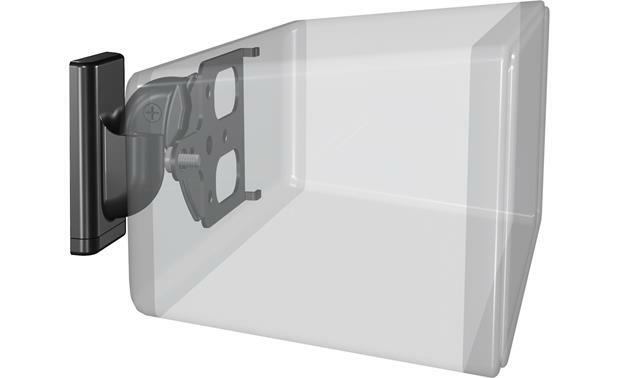 Available Colors: The Sanus WSWM1 speaker bracket is available in a black or white finish.